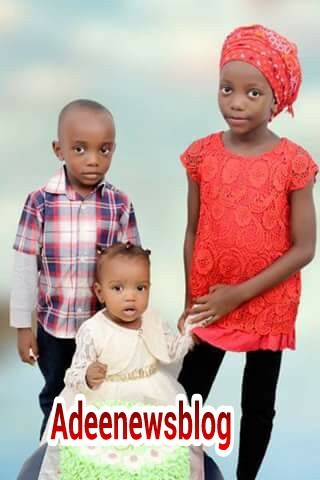 Picture of fallen hero, Colonel Abu Ali's children. Abu Ali was killed by Boko Haram terrorists and has been buried with other fallen hero. Picture 1 show his 3 children while picture 2 show Ali his wife and his youngest daughter May his soul rest in peace.